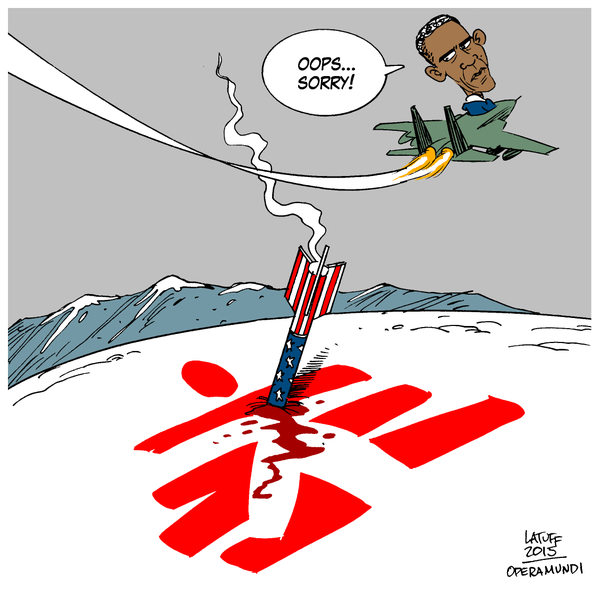 Those who already know that this was all a terrible mistake, that no U.S. personnel would ever purposely call for a strike on a hospital even if they thought there were Taliban inside, should be the ones most eager for the most credible investigation possible: namely, the one under the Geneva Conventions, which MSF this morning demanded, by the tribunal created exactly for such atrocities. 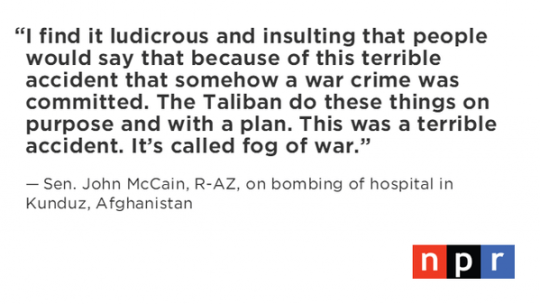 Why Is the US Stonewalling the Afghan Hospital Bombing Investigation? On Saturday August 6, 2011, a U.S. military Chinook transport helicopter was shot down in Afghanistan, killing 30 American soldiers, including 17 elite Navy SEALs, and eight Afghans. The mainstream news media was awash with somber reports about this being the “deadliest day” for U.S. forces in the ten years since the invasion and occupation of Afghanistan began. At this point, O’Donnell displayed photographs of some of the soldiers killed in the crash while delivering brief biographies, a sort of “Last Word” eulogy for the dead. In his effort to tug at his viewers heartstrings, O’Donnell told us of one young soldier who had only “been in Afghanistan for less than two weeks.” Another was described by his mother as “a gentle giant.” A SEAL Team 6 member also killed in the crash, we were told, had a wife, a two-year-old son and a two-month old baby girl while another solider was survived by his pregnant wife and three children. O’Donnell eulogized one of the deceased servicemen by telling us of his personal history as a high school wrestler and his lifelong dream of becoming a Navy SEAL. Never once during this paean to the military did O’Donnell make even a passing reference to the thousands upon thousands of Afghan men, women, and children killed by U.S. and NATO forces in their own homeland, their own country, their own towns, their own communities, their own homes, hospitals, mosques, andschools, and at their own weddings. The Afghan village of Karam was completely destroyed on October 12, 2001 when American forces dropped a one-ton bomb on it and killed over 100 people. On October 21, 2001, “At least twenty-three civilians, the majority of them young children, were killed when U.S. bombs hit a remote Afghan village,” according to areport by Human Rights Watch. A few weeks later, on November 17, 2001, U.S. bombs fired at the village of Chorikori murdered “two entire families, one of 16 members and the other of 14, who lived, and perished, together in the same house,” reported The Los Angeles Times. Shortly thereafter, heavy American bombing in Khanabad near Kunduz was said to have killed 100 people. The same day, a religious school in Khost was bombed, killing 62 people. The charred meat sticking to rubble in black lumps could have been Osama bin Laden’s henchmen but survivors said it was the remains of farmers, their wives and children, and wedding guests. For O’Donnell, it appears the “price of war” doesn’t include the 48 civilians killed and 117 wounded, many of them women and children, when U.S. jets bombed a wedding party in Oruzgan in July 2002, the 17 civilians, mostly women and children, killed by coalition bombs in Helmand in February 2003, the eight civilians killed by a U.S. gunship and bomber in Bagram Valley the same month, the eleven civilians killed, including seven women, by a U.S. laser-guided bomb that hit a house outside the village of Shkin in April 2003, the six family members killed by U.S. bombs that hit the village of Aranj in October 2003, or the nine children (seven boys and two girls aged 9 to 12) murdered by two U.S. A-10 Thunderbolt II planes which attacked the village of Hutala while the children were playing ball. The human cost of the Afghan occupation, so far as O’Donnell is concerned, doesn’t include the eleven people, four of them children, killed by an American helicopter which fired on the village of Saghatho in January 2004, the scores of civilians bombed to death by NATO airstrikes in October 2006, eight civilians shot by American soldiers in Kandahar in 2007, the more than 100 civilians killed innumerous U.S. and NATO bombings in May 2007, the seven children killed by a U.S.-led airstrike in June 2007, the group of bus passengers gunned down by US troops on December 12, 2008, the seven civilians killed by American troops in a rural village near Nad-E’ali in 2009, the 26 civilians, including 16 children, killed by British forces, the scores of dead civilians in Kunduz and Helmand who were killed by 500-pound bombs dropped by U.S. jets in September 2009, the 27 civilians killed by a NATO strike in the Afghan province of Uruzgan in February 2010, the five civilians, including two pregnant women and a teenage girl killed in Khataba, the 45 civilians (most of whom were women and children) murdered by a NATO rocket in Afghanistan in July 2010, the 30 or more civilians killed in two NATO air strikes on two villages in the Nangarhar province in August 2010, or the numerous civilian men, women, children, dogs, donkeys, and chickens slaughtered by Task Force 373, a clandestine black ops unit which NATO uses as an assassination squad. On March 23, 2011, U.S. Army Specialist Jeremy Morlock was sentenced to 24 years in prison for the willful murder and mutilation of three Afghan civilians – a fifteen-year-old boy, a mentally-retarded man, and a religious leader. Other members of Morlock’s platoon, the 5th Stryker Combat Brigade, have been “charged with dismembering and photographing corpses, as well as hoarding a skull and other human bones,” The Washington Post previously reported. At the beginning of the court-martial proceedings, Morlock admitted to the military judge presiding over the case that the murders he and four fellow soldiers were charged with committing had been deliberate and intentional. “The plan was to kill people, sir,” he said. Broadcasting live across the country that evening, Lawrence O’Donnell didn’t cover the story. Instead, he spent a considerable amount of airtime justifying Barack Obama’s decision to begin bombing Libya, interviewing Anthony Weiner about healthcare, and poking fun at potential GOP presidential candidates. He ended the program that night, however, with a touching and earnest memorial for someone who had recently died: Elizabeth Taylor. To O’Donnell, the “worst single loss of life” in Afghanistan during the last decade wasn’t the more than 140 civilians reportedly killed when “U.S. aircraft bombed villages in the Bala Boluk district of Afghanistan’s western Farah province” on May 3, 2009 in what is now known as the the Granai airstrike. Reuters revealed that “93 of those killed were children — the youngest eight days old,” and that “[a]ccording to villagers, families were cowering in houses when the U.S. aircraft bombed them.” The death toll of this one airstrike is nearly five times larger than the U.S. helicopter crash, which took the life of not a single civilian, let alone child. The following month, 90 civilians, including 60 children and 15 women, werekilled during military operations in Herat province alone. 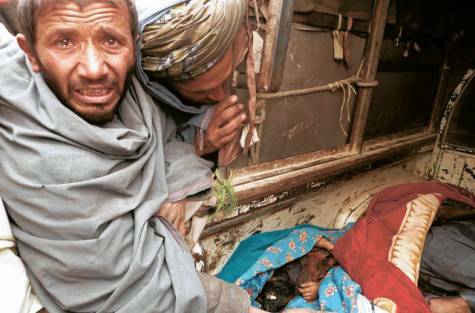 Sixty-five civilians, including 40 children, were killed in a NATO assault on Kunar in February 2011. A few weeks later, NATO helicopter gunners shot nine boys – aged 9 to 15 – to death as they gathered firewood. On May 28, 2011, NATO bombs killed two women and 12 children in Helmand. In the month leading up to the Chinook crash last week, dozens of Afghan civilians were killed in NATO airstrikes and raids. O’Donnell didn’t feel the need to show pictures of any of these victims or quote what their loved ones had to say about them. 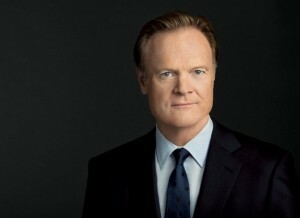 O’Donnell didn’t tearfully point out that the bullets and bombs that have killed so many men and women have left countless orphans and widows and taken countless children away from countless parents all sacrificed on the altar of the so-called “War on Terror” and American security and exceptionalism. While it remains to be seen what kind of lethal punishment Afghan civilians will bear in retaliation for the most recent Chinook crash with its record-breaking American death toll, one thing is certain: Lawrence O’Donnell will offer no words of sorrow or condolence, no melancholy homage to the dead, no decorous harangue of the American public for not caring enough, for not knowing the names, faces, and stories of those killed by our own soldiers whose salaries we pay and bombs we build. To mourn only fallen soldiers of one’s own country and not even notice the civilians they are trained to kill in their own country is to rewrite the history of war and violence and further entrenches the vile ideology of “us vs. them”, inverts aggressor and victim, and praises invasion and empire. Lawrence O’Donnell, by deliberately ignoring the thousands of Afghan dead during his encomium for the dead American soldiers, has proven that, as far as the mainstream media is concerned, justice will never have the last word. *Nima Shirazi is a political commentator from New York City. His analysis of United States foreign policy and Middle East issues is published on his website, WideAsleepInAmerica.com, and can also be found in numerous other online and print publications. The last month has seen growing public debate over the shambles of the Afghan war. The much-heralded counter-insurgency is failing and the Obama administration and its allies are killing more civilians than ever before. Winning hearts and minds, indeed. At such times, unembedded journalism and thinking is essential. – Opinion piece in the Sydney Morning Herald on Israel’s inherent racism and the West’s responsibility to act accordingly (and Zionist response in the paper the following day). – Al Jazeera English’s Listening Post asked me to comment on the recent Wikileaks revelations about war crimes in Iraq. – Exclusive report in Australian magazine Crikey on Australian troops working with the US on assassination squads in Afghanistan and beyond (and the furious establishment’s response). Sydney University Law Professor Ben Saul comments. – Investigation in Australian magazine Crikey on local unions embracing boycott, divestment and sanctions against Israel, an interview with union leader Paul Howes and Israel/Palestine. – Appearance on ABC TV News24 talking about Afghanistan, 9/11 and drugs policy. – Investigation with journalist Paul Farrell in Australian magazine Crikey on the lack of accountability of detention centre company Serco (part 1 and part 2). – Responses to the recent Independent Australian Jewish Voices ad in Australia and Zionist attack on pushing for BDS and one-state solution. – ABC Online investigation into the Western media’s seduction by the regime in Sri Lanka. – Appearance on ABC TV News24 discussiong gay marriage, asylum seekers and internet policy. – Sydney 2SER Radio interview about the proposed $60 billion arms sale from the US to Saudi Arabia. – During my recent visit to the Ubud Writers Festival in Bali, Indonesia, I interviewed well-known Australian author Christos Tsiolkas. – Interview on British website Counterfire about Israel/Palestine. – Interview on independent Australian radio program The Wire about suicides in immigration detention and the role of multinational Serco. – Extract of a recent interview I conducted with leading US Jewish writer Norman Finkelstein talking about the two-state solution. – Review of the extraordinary new film by director Julian Schnabel, Miral, that tells the Palestinian story from the 1948 Nakba onwards. – Article in literary journal Overland on flailing US policy in the Middle East. The truth is, I can’t get an answer. My generals can’t quite tell me what our mission is. If we went in there to rout out al-Qaeda, well, they’re gone too. The CIA tells me there are under 100 of them left in the whole country! US ARMY IN AFGHANISTAN: SCREWED! So … it turns out President Eisenhower wasn’t making up all that stuff about the military-industrial complex. 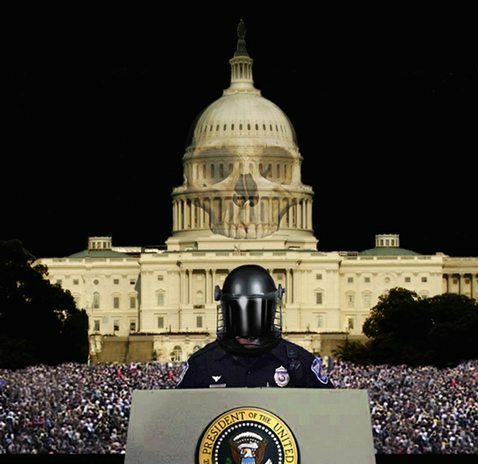 In fact, after you read Woodward’s book, you’ll split a gut every time you hear a politician or a government teacher talk about “civilian control over the military.” The only people really making the decisions about America’s wars are across the river from Washington in the Pentagon. They wear uniforms. They have lots of weapons they bought from the corporations they will work for when they retire. For everyone who supported Obama in 2008, it’s reassuring to find out he understands we have to get out of Afghanistan. But for everyone who’s worried about Obama in 2010, it’s scary to find out that what he thinks should be done may not actually matter. And that’s because he’s not willing to stand up to the people who actually run this country. It matters not whom we elect. The Pentagon and the military contractors call the shots. The title “Commander in Chief” is ceremonial, like “Employee of the Month” at your local Burger King. Everything you need to know can be found in just two paragraphs from Obama’s War. Here’s the scene: Obama is meeting with his National Security Council staff on the Saturday after Thanksgiving last year. He’s getting ready to give a big speech announcing his new strategy for Afghanistan. Except … the strategy isn’t set yet. The military has presented him with just one option: escalation. But at the last minute, Obama tells everyone, hold up – the door to a plan for withdrawal isn’t closed. The colonel did not have to elaborate. His implication was that not only McChrystal but the entire military high command might go in an unprecedented toppling – Gates; Adm. Mike Mullen, the chairman of the Joint Chiefs of Staff; and Gen. David H. Petraeus, then head of U.S. Central Command. Perhaps no president could weather that, especially a 48-year-old with four years in the U.S. Senate and 10 months as commander in chief. But here’s the question Woodward doesn’t answer: Why, exactly, can’t a president weather ending a war, even if he has to fire all his generals to do it? It’s right there in Article II, Section 2 of the Constitution: The President’s in charge of the military. And so is Congress: the army can’t just march over to the Treasury Department and steal the money for wars. Article I, Section 9 says Congress has to appropriate it. So here’s your assignment for tonight: Watch Eisenhower’s famous farewell speech. And then start thinking about how we can tame this beast. The Soviet Union had its own military-industrial complex, which is one reason they got into Afghanistan … which is one reason there’s no more Soviet Union. It happened to them. Don’t think it can happen to us? 1,400 Gazans were brutally murdered by Israeli forces in the Gaza War…. (mostly civilians). 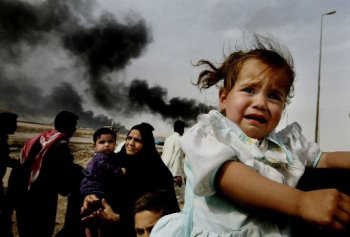 In the War in Iraq, to date over 1, 300,000 Iraqis have been killed…. and continue to be killed on a daily basis. 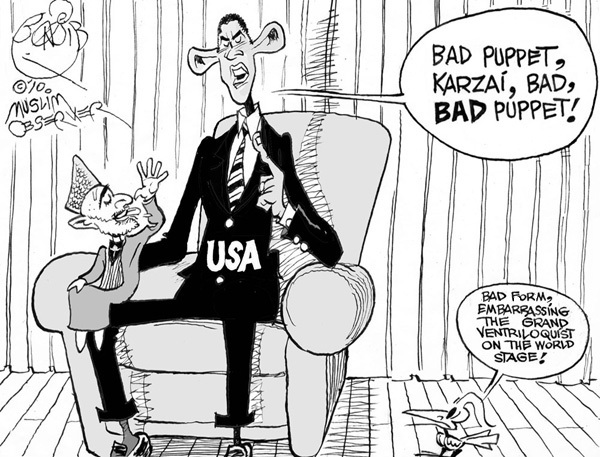 The US continues to kill innocent civilians, INCLUDING CHILDREN, in Afghanistan and Pakistan. These are ongoing holocausts that remain uncondemned by the United Nations. There has not been, nor will there most likely ever be a Goldstone type report dealing with the war crimes committed by the US and NATO. There has been much vocal support for the Goldstone Report from pro-Palestinian and anti-zionist groups. Anti-war groups and intellectuals have added their voices of support for the passing of the Report…. but nowhere has there been a call for the same type of investigation to be held dealing with the war crimes committed by the United States…. NOWHERE! This silence allows the crimes to continue, while only exposing and condemning Israel’s crimes, the US is literally getting away scott free with the ones they commit. The civilians in Iraq, Afghanistan and Pakistan are under constant threat. They too must be protected against the most powerful war machine in the world….. until then, the US will continue to condone lesser crimes as a matter of conscience….. A GUILTY ONE! Thanks to Paola Pisi, of Uruknet, for collaborating on this piece with me. The war in Afghanistan is “fundamental to the defense of our people,” President Obama said Monday, addressing the Veterans of Foreign Wars conference in Phoenix, Ariz. — but the fight will not be easy. “The insurgency in Afghanistan didn’t just happen overnight. And we won’t defeat it overnight,” the president said. “But we must never forget. It was back in 1942. FLASHBACK….. Remember 1979? Remember the invasion of Afghanistan by the Soviet Union? Remember the outcry and crocodile tears in support of the people of that country? FLASHBACK #2….. Remember 2001? Remember the invasion of Afghanistan by the United States? Where was the outcry and crocodile tears in support of that nation then? There weren’t any…. because the crimes committed by US troops were hidden….. covered up…… LIED ABOUT! 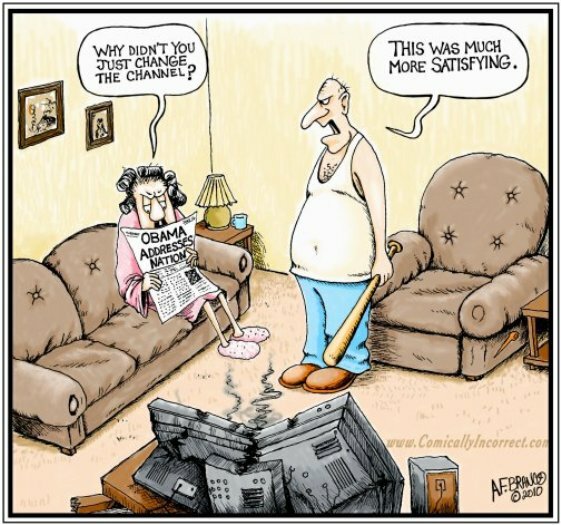 During a Presidential debate in September, 2008, Candidate Obama was quoted as saying…. Instead of seeing the CHANGE we were promised, we are literally being SHORTCHANGED and lied to. The reality can be seen below…. WASHINGTON — After a mass killing of hundreds, perhaps thousands, of Taliban prisoners of war by the forces of an American-backed warlord during the 2001 invasion of Afghanistan, Bush administration officials repeatedly discouraged efforts to investigate the episode, according to government officials and human rights organizations. Read the article that came from HERE. November 20, 2001: General Abdul Rashid Dostum and US-allied Northern Alliance surround Kunduz, Afghanistan, where Taliban and Al Qaeda fighters hide amongst civilians. November 24, 2001: The New York Times reports the beginning of the surrender of Taliban troops to the US and Northern Alliance near Kunduz, Afghanistan. November 25, 2001: As the surrendering fighters exit Kunduz, a revolt erupts at the Qala Jangi fortress in Mazar-e Sharif. November 28, 2001: Many of the prisoners who surrendered to Dostum and allies are transferred to cargo container trucks at the Qala-e-Zeni fortress for transport to Sheberghan prison. November 30, 2001: According to reports, when the container trucks are opened at Sheberghan Prison, hundreds of prisoners are found dead of heat, thirst, asphyxiation and shooting. January 11, 2002: The first detainees from Afghanistan arrive at Camp X-Ray at Guantánamo Bay Prison, Cuba. January 16-21, 2002: PHR researchers Jennifer Leaning, MD, and John Heffernan visit Sheberghan Prison, document appalling conditions there, and report the presence of an alleged mass gravesite at nearby Dasht-e-Leili. January 28, 2002: PHR informs the US Deputy Assistant Secretary of Defense for Security Operations, Dr. Joseph Collins, of the existence of alleged mass graves at Dasht-e-Leili. February 7, 2002: President Bush signs an order stripping detainees at Guantánamo Bay and elsewhere of Prisoner of War status and certain protections provided by the Geneva Conventions. February 7-14, 2002: Under the auspices of the UN High Commissioner for Human Rights, PHR sends forensic experts William Haglund, PhD (Forensic Anthropologist and then-Director of PHR’s International Forensic Program) and Stefan Schmitt, MS (Forensic Consultant) to conduct a preliminary forensic assessment of various mass graves in northern Afghanistan, including Dasht-e-Leili. PHR completes an internal report on the mass graves (PDF). March 1, 2002: PHR sends a letter addressed to then-Chairman of the Interim Government of Afghan Hamid Karzai (PDF) calling for the protection of mass graves and a plan for further investigation of the Dasht-e-Leili site. March 15, 2002: A copy of the letter to Chairman Karzai (PDF) and the internal PHR report on the site (PDF) are delivered to Secretary of State Colin Powell; Pierre Richard Prosper, US Ambassador for War Crimes; Lorne Craner, Assistant Secretary of State for Democracy, Human Rights and Labor, Department of State; and Dr. Joseph Collins, Deputy Assistant Secretary of Defense, Department of Defense. Dr. Collins forwards the PHR report to senior Department of Defense officials for further review. Mr. Craner informs Department of State officials about PHR report. PHR receives no response. Early 2002: FBI Special Agent in Charge Dell Spry, head of the FBI component of the Criminal Investigative Task Force at Guantnamo Bay, interviews ten survivors of the alleged “Death Convoy” and files witness reports with FBI headquarters. Spry is told to stop any further investigation of the incident. April 26 – May 7, 2002: PHR forensic experts William Haglund, PhD (Forensic Anthropologist and then-Director of PHR’s International Forensic Program) and Nizam Peerwani, MD (Forensic Pathologist) conduct a preliminary investigation of the Dasht-e-Leili site, which includes digging a test trench that exposes fifteen bodies, and conducting autopsies on three exhumed bodies. The manner of death is determined to be homicide and cause of death in each of the autopsied bodies is determined to be consistent with suffocation. May 1, 2002: The New York Times publishes a story titled, “Study Hints at Mass Killing of the Taliban,” by Carlotta Gall. May 2, 2002: Following the first public media report of the mass gravesite in the May 1 article, PHR makes public its report on findings at Dasht-e-Leili (PDF) in January and February 2002, together with a press release calling for the protection of, and further investigation of, the site (PDF). June 13, 2002: In response to video testimonies released by filmmaker Jamie Doran, PHR reissues its public call for protection of gravesites and a full investigation in a press release (PDF). PHR’s John Heffernan appears on National Public Radio’s Morning Edition, also calling for protection of Afghan gravesites and a full investigation. August 2002: Special Presidential Envoy for Afghanistan and National Security Council Senior Director for Southwest Asia Zalmay Khalilzad meets with Pierre Prosper, Ambassador-at-Large for War Crimes Issues at the Department of State, and discourages Prosper from investigating the Dasht-e-Leili site. August 5, 2002: PHR again meets with Deputy Assistant Secretary Collins. He tells PHR that the Department of Defense will take no action to secure the Afghan mass gravesite or to investigate it. August 7, 2002: PHR sends a letter to high-level UN officials asking the UN Assistance Mission in Afghanistan (UNAMA) to support the protection and further investigation of the Dasht-e-Leili gravesite. August 20, 2002: Newsweek provides the first comprehensive reporting on Dasht-e-Leili. The magazine’s cover story, “The Death Convoy of Afghanistan,” which describes suffocation of prisoners, reportedly in container trucks following their surrender at Kunduz, raises questions regarding US involvement. August 22, 2002: PHR issues a press release entitled “Physicians for Human Rights Welcomes Afghan Government’s Pledge to Investigate Mass Grave but Says Afghans Lack Expertise and Resources To Do it Alone; U.S. Response Insufficient; Urges UN to Authorize Commission of Inquiry” (PDF). August 26, 2002: PHR sends a letter to Secretary of Defense Donald Rumsfeld (PDF), asking for the assurance of security at the gravesite and for the US Department of Defense to review its own responsibilities regarding its ally’s compliance with the Geneva Conventions. September 19, 2002: The UN authorizes an official investigation of mass graves in Afghanistan, including the site at Dasht-e-Leili. However, early 2003 plans for an exhumation of the site by PHR experts are postponed indefinitely due to failures to provide protection for the investigation and apparent lack of political will to support the effort. September 30, 2002: In a Newsweek article, “War Crimes: Digging up the Truth,” Roy Gutman and John Barry report that the UN and the Afghan government agree to allow a forensic team to investigate the mass grave at Dasht-e-Leili. December 21, 2002: US Human Rights organization leaders meet with Deputy Secretary of Defense, Paul Wolfowitz. At that meeting, PHR requests protection for its forensic team, security for site and a full investigation of the grave. June 11-12, 2003: PHR’s Deputy Director, Susannah Sirkin, discusses the Dasht-e-Leili case with Special Forces officers, military/humanitarian law experts, and human rights organizations at Fort Bragg during an “Ethical Dilemmas for Special Forces” workshop. The discussion focuses on US responsibility under the Geneva Conventions for fully investigating the incident and protecting evidence as well as its responsibilities for violations by allies who are known human right violators. 2003-2006: PHR continues to advocate for protection of the site and investigation of the grave, including with the UN Office of the High Commissioner for Human Rights and UNAMA, realizing, however, that the politics of the situation and conditions on the ground in Afghanistan are not conducive to meeting this goal at this time. August 5, 2006: Apparent Earth moving equipment and one pit present at Dasht-e-Leili site (see for entry for June 2009). February 19, 2008: PHR files a legal complaint in US District Court for the District of Columbia against the Department of Defense (PDF) for its failure to respond to the June 2006 FOIA request. July 6, 2008: As part of a larger UN forensic assessment mission, IFP Forensic Director Stefan Schmitt visits Dasht-e-Leili and documents large pits in the area where mass graves were documented in 2002, indicative of large-scale destruction of evidence. Schmitt raises concerns in meetings with UN and Afghan officials in Kabul. November 17, 2008: Believing that the FOIA documents (part 1 [PDF 7.3MB], part 2 [PDF 5.5MB]) received to date do not represent a thorough search of the relevant records, PHR files a Motion for Summary Judgment against the Department of Defense for its failure to respond appropriately to PHR’s June 2006 FOIA request. December 9, 2008: IFP Director Stefan Schmitt submits his confidential written report to UNAMA and the United Nations Office of the High Commissioner for Human Rights (UNOHCHR) with findings and recommendations from his June 24 – July 17, 2008, assessment trip to Afghanistan. December 11, 2008: McClatchy Newspapers’ Tom Lasseter reports evidence of grave site tampering at Dasht-e-Leili, which had been observed by the PHR forensic expert. December 19, 2008: PHR writes to President Karzai asking him to request assistance from ISAF (International Security Forces-Afghansitan) to protect the mass gravesite. December 22, 2008: PHR sends a letter to General David McKiernan, Supreme Commander of NATO forces in Afghanistan, requesting that he offer ISAF (International Security Forces-Afghanistan) assistance to the Government of Afghanistan to secure the mass grace site and protect witnesses. December 27, 2008: General McKiernan responds to PHR’s letter requesting investigation of the grave site and protection of the witnesses, saying it is the Afghan government’s responsibility to request this assistance. June 2009: PHR learns through satellite imagery analysis provided by the American Association for the Advancement of Science (AAAS), that apparent earth-moving equipment was present at the site on August 5, 2006. The image shows the presence of one large pit, and apparent earth-moving equipment in a second area. A subsequent photo reveals a second pit where the apparent earth-moving equipment had been. July 10, 2009: New York Times article by Pulitzer Prize winning reporter James Risen reveals new evidence that the Bush Administration impeded at least three federal investigations into alleged war crimes in Afghanistan beginning in 2002. The Times reports PHR’s call for the Department of Justice to investigate alleged obstruction of justice by the Bush Administration for shutting down an FBI criminal probe, and at least two other federal investigations, of the alleged Dasht-e-Leili massacre. ensure a full investigation of remaining evidence at the site, including the tracing of the substantial amount of soil that appears to have been removed in 2006. July 10, 2009: PHR releases short documentary film, War Crimes and the White House: The Bush Administration’s Cover-Up of the Dasht-e-Leili Massacre, along with a transcript of the video (PDF).